A beautiful board book with jigsaw puzzles on the pages. I will NEVER take those puzzle pieces out. They are too perfect! 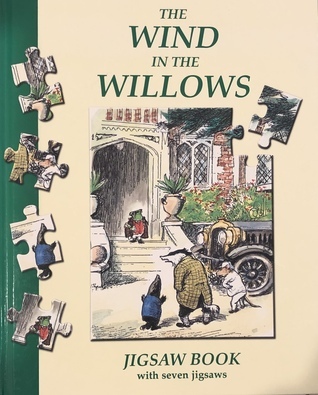 I adore Shepard’s whimsical illustrations, and enjoyed reading the little excerpts from the Wind in the Willows book that accompany each puzzle. Isn’t it sweet?! I just love collectible stuff like this.